On the set of the garden and grounds for Columbia Pictures’ PETER RABBIT. 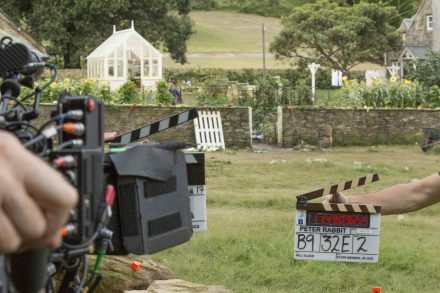 Jobs for up to 1,500 local screen professionals have been confirmed today following the announcement by Sony Pictures Entertainment, Animal Logic Entertainment and Olive Bridge Entertainment that PETER RABBIT™ 2 is set to begin shooting across the State. Animal Logic CEO and producer Zareh Nalbandian added, “It’s exciting to see writer-director Will Gluck back in Sydney for the second instalment of PETER RABBIT™! The global success of Peter is a testament to the world-class live action, VFX and animation talent here in Australia and Animal Logic’s strong partnership with Sony Pictures and Olive Bridge, all made possible with the invaluable support of the Made in NSW Fund”. Peter Rabbit™ was released worldwide in 2018, where it grossed US$351m globally and AU$26.6m at the Australian box office.